Our mission is the pursuit of teaching quality and academic excellence by strengthening management training in the fields of research and practice. Our focus is to nurture professional management talent and a teamwork ethic, by using a global vision to better serve the business community at large. 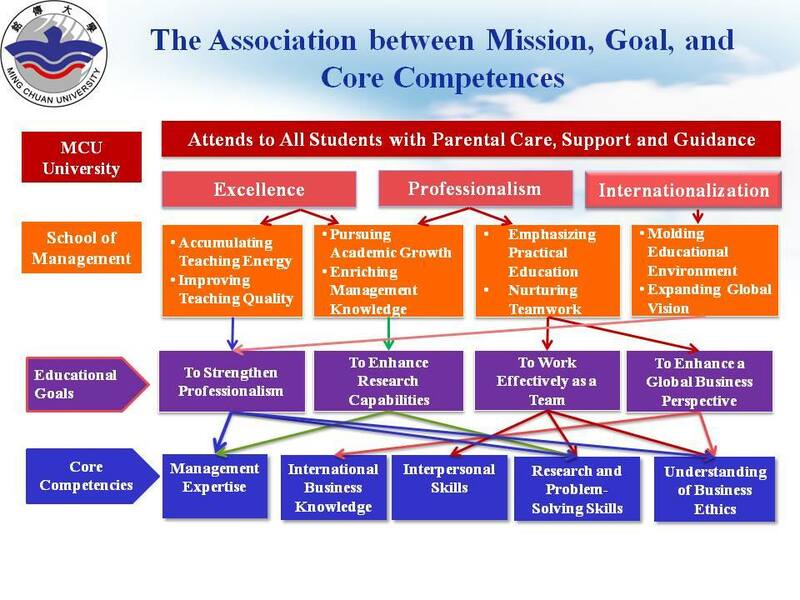 The goal of our curriculum is based on our mission and goals to build up students' core competencies, as shown in following figure. 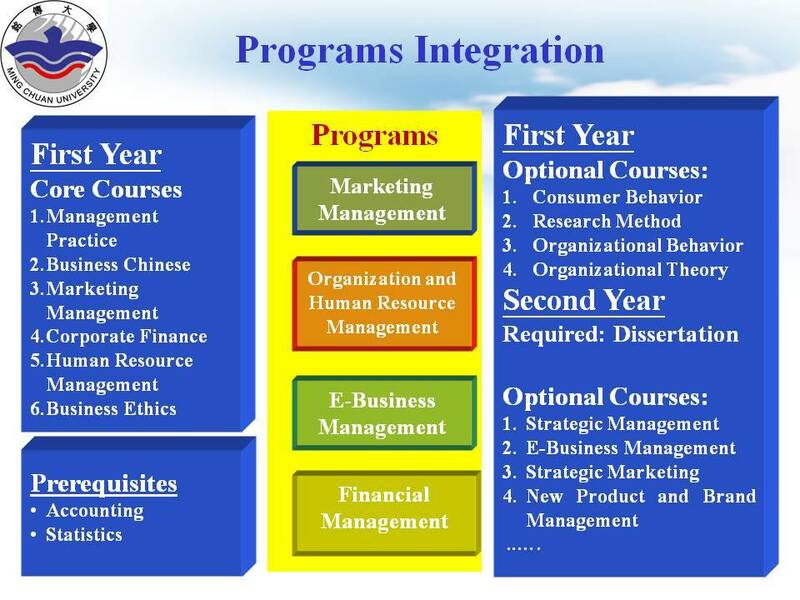 Students can learn these professional programs at the first year. At the second year, students can choose an interesting topic from the programs to achieve dissertation. 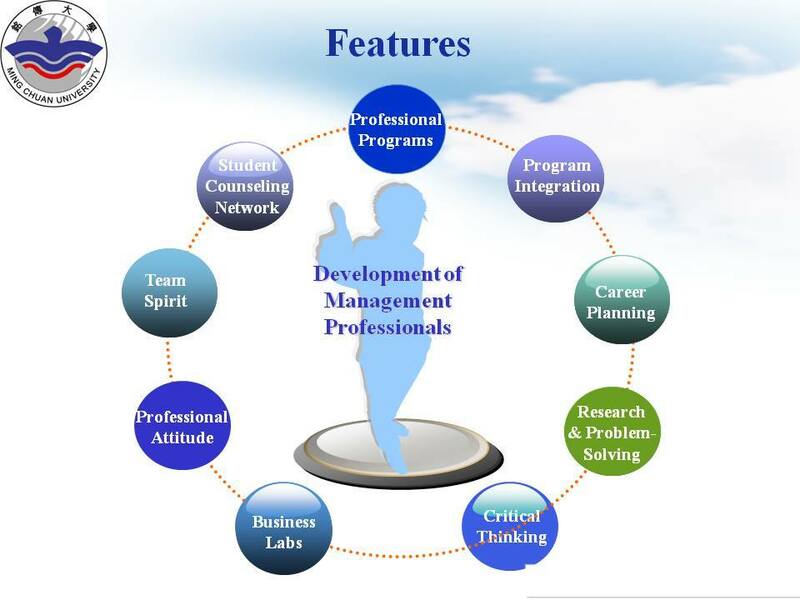 These professional programs not only broaden your knowledge about Business Administration but also boost your career.